Why We Didn’t Hire a Wedding Planner but Wish We Had! I came across this great article “Why We Didn’t Hire a Wedding Planner… But Wish We Had” and wanted to share it with all our Denver wedding band brides! It is a different way of approaching the “Should we hire a planner?” debate and I think you may find it helpful. 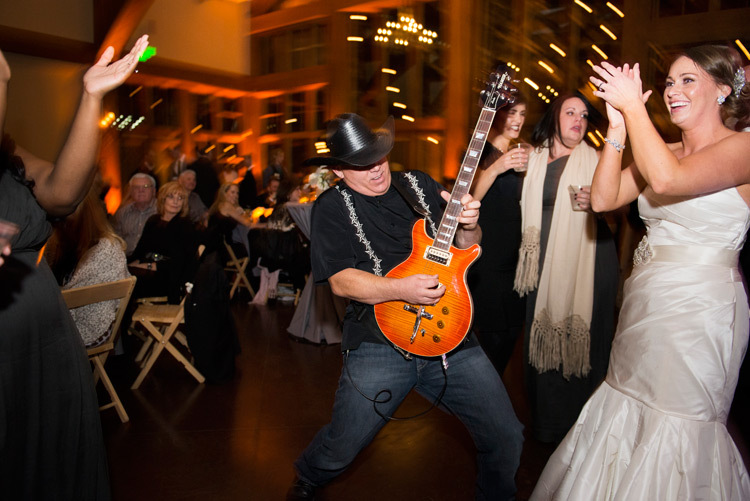 Narrow Gauge has performed our country and classic rock hits at hundreds of weddings! I have seen first hand, over and over again, how important a planner can be. However, at my son’s wedding I saw it from a different perspective: As the Father of the Groom! 6 months later, at my daughters Colorado wedding, we hired a day of planner and it made all the difference in the world. Even though the band performed at the wedding reception, I was able to enjoy everything and my wife and daughter were much less stressed! The wedding coordinator was worth every penny and more! Now, I help plan and pull off about 30 weddings every year, so I have a lot of experience doing this stuff. You probably don’t have that same experience, so you have to weigh how much you think you can take on. If your budget will allow you to hire a wedding and event planner for the whole time, my counsel is to do that. Of course, when you hire Narrow Gauge to turn your wedding into the party of a lifetime, I am going to help oversee things at your reception. I will work with your other vendors to help keep things on track so you can focus on being a bride and groom and enjoy the party! But there will be a lot more moving pieces than just the party. I hope the article is a helpful resource for you! Our clients hear that. A lot! This bride and groom implemented the three tips I am about to share with you. But I have also seen some weddings that failed to reach that “wedding party of the year” status that so many wedding couples hope to achieve. Every single one of those weddings failed to do the things that dramatically increase the odds for a fantastic wedding party. Chances are good that you are looking for some advice for your own wedding. That is why you are here. You have come to the right place! I am going to share these three key tips I have learned over the years that are absolutely critical to having an amazing, unforgettable wedding reception. So if you want to have the most amazing party at your wedding, continue reading. Have the party at night. If you get these three things right, chances are much higher that you will have a great party. The food you serve is important, but not more important that these three things. The decorations are important, but not as important. Why is that? Tip #1: Serve Alcohol: First of all, if you don’t serve alcohol, people won’t dance. If people don’t get into the dancing part of the night, they leave early. If they leave early, the party is over. Very few people leave great parties early! I have seen this over and over and over again. So it you want to have a memorable party, it is important to make sure alcohol is available. Open bars work best, but as long as there is a bar of some kind, you will be fine. This is such a key component to an amazing wedding party that Narrow Gauge won’t perform at weddings if alcohol is not served. Tip #2: Hire Amazing Entertainment: Now you need to add good entertainment to get them out on the dance floor. It could be a great DJ or a proven wedding band like Narrow Gauge, as long as it is one of those, people will have a great time. As a rule, proven entertainment will be more expensive than mediocre entertainment. The adage “You get what you pay for” really does seem to apply here. A good rule to follow is that you should be willing to spend 10% of your wedding budget on entertainment. Sure, you can spend less than that on a Craiglist DJ or a bar band. Chances are that they won’t have the experience needed to read a crowd and make the party. You won’t be able to fire them in the middle of the reception and bring in a better entertainer. You don’t get a second chance here. Tip #3: Have the Reception at Night! For some reason, people don’t get wild and crazy at daytime wedding receptions. You can have a great band, serve the best free alcohol and the vast majority of your guests still won’t cut loose like they will at an evening reception. This seems to be one of those unchangeable rules, at least in our experience. Because of that, Narrow Gauge no longer performs at daytime wedding receptions. We do perform at corporate events and concerts /festivals that are held in the daytime, but that is about it. So there you have it, our top three tips for having an amazing wedding reception: Have the reception at night, serve alcohol and have great entertainment. If you do these three things, the odds of your wedding reception being the party of the year will dramatically improve. Jim is the lead guitar player and manager of Narrow Gauge, the Denver Colorado based country and classic rock wedding band. He is also the owner of Narrow Gauge Sound, a sound system and lighting rental company that focuses on weddings. He has helped plan and emcee over 300 weddings in Colorado, Wyoming, New Mexico, South Dakota and Texas. Get Jim’s Proven Wedding Reception Planner download free. Get the Planner! If you are looking for an award winning Denver wedding band to perform at your wedding reception, find out more about Narrow Gauge at NarrowGaugeCountry.com. This Denver Wedding Band will Ignite Your Party! Are you ready for the party of a lifetime? Your wedding is a unique, once in a lifetime event! 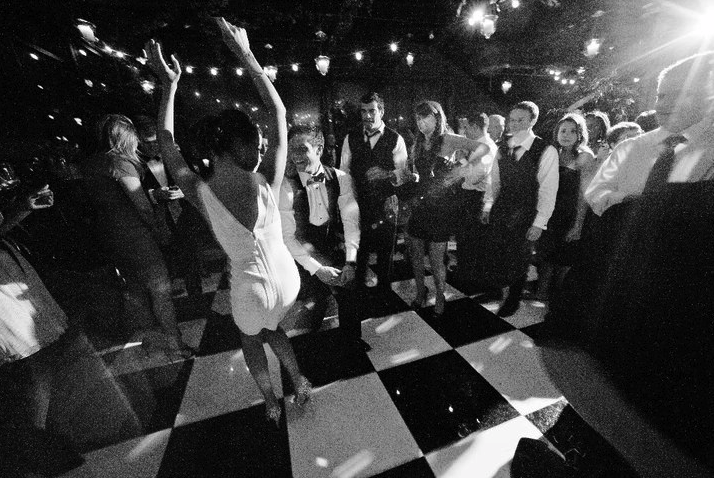 There are no chances to do it over again so if you do want to have the party of a lifetime at your wedding, you must hire a proven band that knows how to ignite the party and pack the dance floor. 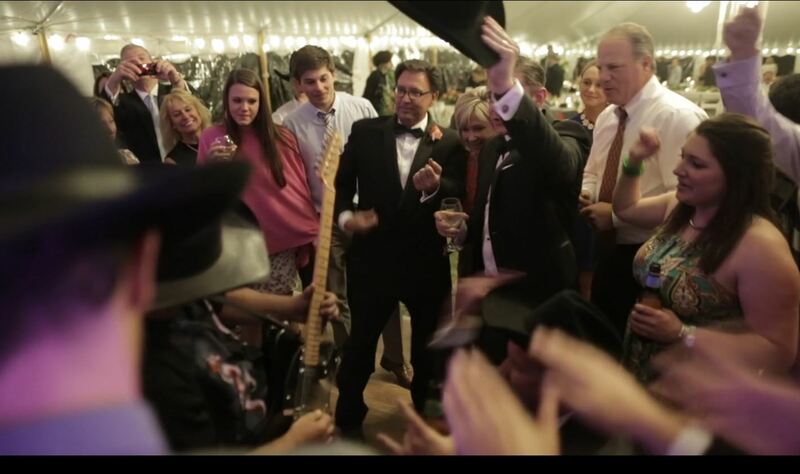 Being one of the top award winning Denver wedding bands, Narrow Gauge is a proven band that has been fortunate to provide the party for hundreds of couples. We would be honored to help you celebrate the biggest day of your life. Narrow Gauge is Colorado’s top award winning country & classic rock band. We specialize in transforming ordinary events into parties of a lifetime. We do that by performing a popular mix of country and rock dance hits from artists like: Chris Stapleton, Brooks & Dunn, Lynryd Skynrd, AC/DC, Darius Rucker, Guns N Roses, The Eagles, Jason Aldean, Dwight Yoakam, Led Zeppelin, the Zac Brown Band, Johnny Cash, Garth Brooks, Blake Sheldon, Brad Paisley, George Strait and countless others! We have been performing as a Denver wedding band and corporate party band for 15+ years. We have performed on national television, at Invesco Field, and for President George W. Bush. In 2018, we opened for Kenny Loggins. Narrow Gauge has performed at over 300 Colorado weddings and we have the experience it takes to guarantee your wedding reception is a once in a lifetime celebration. We know that things can get a bit overwhelming for you when you are planning a wedding. We can assure you that with Narrow Gauge, things will go perfectly! We understand how important every detail is and we’ll provide you with a customized experience to turn your dream wedding into reality. We would be honored to share your special day with you and help make your wedding reception even more amazing! Find out if we are available for your wedding party in 5 minutes or less. We were just notified that we have been awarded the 2017 Couples Choice Award by WeddingWire.com! It isn’t an easy award to receive and we are grateful for all the brides who have entrusted Narrow Gauge to make their wedding receptions amazing. It has been our honor to serve all of you! WeddingWire Couples’ Choice Awards®recipients represent the top five percent of wedding professionals on WeddingWire who demonstrate excellence in quality, service, responsiveness, and professionalism. This award means a lot to all of us in the band. Thank you to all our 2016 brides who voted for us! Narrow Gauge is a Colorado Wedding band that performs in Denver, Vail, Colorado Springs and anywhere and everywhere in Colorado and Wyoming and beyond. We know a thing or two about Colorado wedding receptions! We have worked with over 400 brides in 10 years, helping each one pull off an amazing wedding reception. In that time we have learned the secret of how to pack a dance floor: Play GREAT music that everyone knows and likes. You may find this very hard to believe: there will be a lot of people attending your reception that don’t like the same music as you. If you tell the band to only play the kind of music you like, the dance floor will be empty and your guests WILL leave early. Nobody wants that. Tell us the songs you like and don’t like. Give us permission to read the dance floor and make changes we think we need to get your guests on the dance floor and keep them there. Over the years, 95% of the brides we have worked with followed this advice. The result? A fantastic time by all. The reason? Narrow Gauge puts together our play list based upon several factors: the clients input and our experience. During our actual performance, we use it as a guide. If it’s working we keep it going and if the dance floor is not as packed as it should be, we change it up. It ALWAYS works. We are very good at finding out what any group of people want to dance to on any given night. Surprisingly, not every bride accepts our advice. A handful of time in the past 10+ years we have worked with brides who insisted that we only play the songs they want, regardless of what their guest may want. It has been a disaster every single time. Like every bride, she was so excited about the wedding. She knew we had a great reputation as a dance band and she couldn’t wait to celebrate with her family and friends. I encouraged her to give us the freedom to read the dance floor and play what the crowd wanted to dance to, just in case they were not all into county. We did exactly what she wanted. We hear this from bride and grooms all the time. They love all types of country music, but not all of their guests will. That is what draws them to Narrow Gauge. Narrow Gauge is a dance band and we know how to pack a dance floor, we do it 60+ times every year. 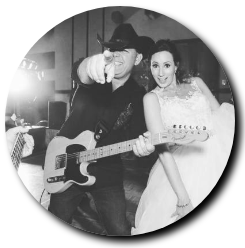 We do it by reading the crowd and playing a great mix of modern and classic country, modern and classic rock as well as any type of music that will get the crowd dancing. We play hits everyone will recognize and enjoy, from AC/DC to the Zac Brown Band and everything in between. When we go on break, we play the latest club hits or a custom mix that you have chosen, and the party keeps on going. When you hire Narrow Gauge, you get an award-winning band as well as DJ. You might think you can not afford us, and you would be wrong. Visit our website and find out how affordable we can be. Narrow Gauge is offering an October special for all new events that take place in October 2014. Book Narrow Gauge for at least two sets of live music and we will throw in a third set absolutely free. Just mention our October special when you fill out our Quote Request form. Narrow Gauge is the Colorado Country and Classic Rock Dance Band. We are available for concerts, festivals, weddings, corporate events, fundraisers, private parties and anywhere live music is needed. Visit our website at http://www.NarrowGaugeCountry.com for live demos, videos, client reviews, playlists, pictures and to get pricing information for your event.